IRONBOUND Dot.Org can and should be defined by our mission of “Building Skills & Creating Jobs”. Everything we do is in support of our mission. We believe that we can make a meaningful difference in many high school students lives by better preparing them for 21st century jobs. Our goal is to have 10,000 high school students in 10 years complete our efficient and effective enterprise (jobs) skills programs. 3x5 is a systematic process utilized by IRONBOUND to organize the steps involved in new product development and personal brand development. 3 x 5 has been designed using 5 classic enterprise skills/competencies written about by Dr. Michael Pennella , director of IRONBOUND Dot.Org, over 20 years ago. The 5 skills are investigation, identification, innovation, improvisation and implementation. 3 x 5 is about focus and the systematic process that is required at each skill (level). By utilizing this 5 level process, the result will be a superior product and personal brand. In addition to developing new products and learning some basic business principles, the students will learn some professional skills and social skills “life skills” that are essential to being successful in the 21st century marketplace. 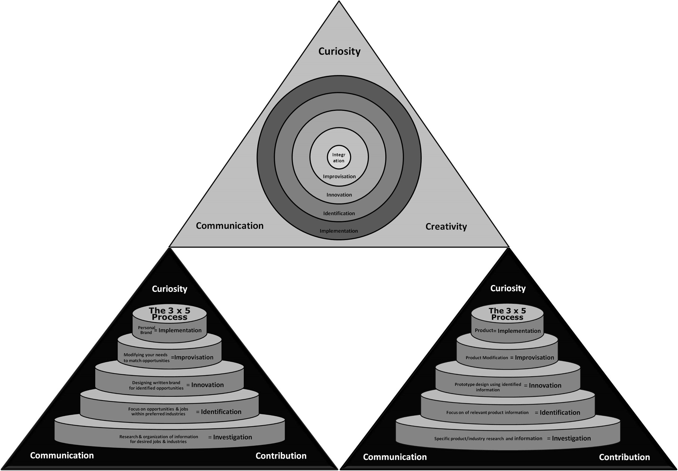 Study after study has directly linked curiosity with creativity. Today’s work environment demands the ability to be creative and innovative. It starts with being curious. The ability to communicate in a professional manner and the confidence to know you can contribute are essential ingredients to succeeding and flourishing in a challenging environment. Fortunately, these skills have no shelf life and can utilized at any time at any location. The IRONBOUND I-PASS (professional and social skills) programs are founded on new product development. The philosophy of I-PASS is that developing a new product/brand is similar to a student developing their own “personal brand”. IRONBOUND believes in the “power of commonalities”. If a system is successful in business, why not use the same process for your “personal brand”. Commonalities not differences are the key. Our systematic and organized process links building students career skills (personal brand) while developing a new product. 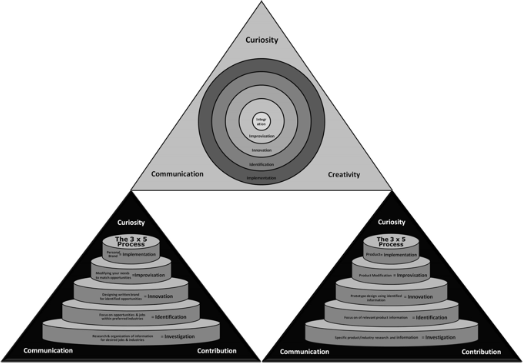 To do this it is helpful to have an organized system of thinking and analysis for this we have developed the 3x5 model.